card game in a mini round tin. 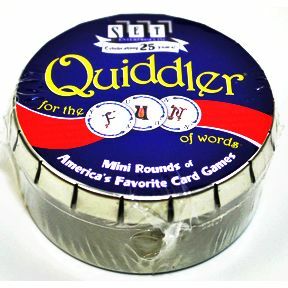 The rummy-style short word game that's fun for the whole family! 2-4 players. Age 8+.